2.4 In. 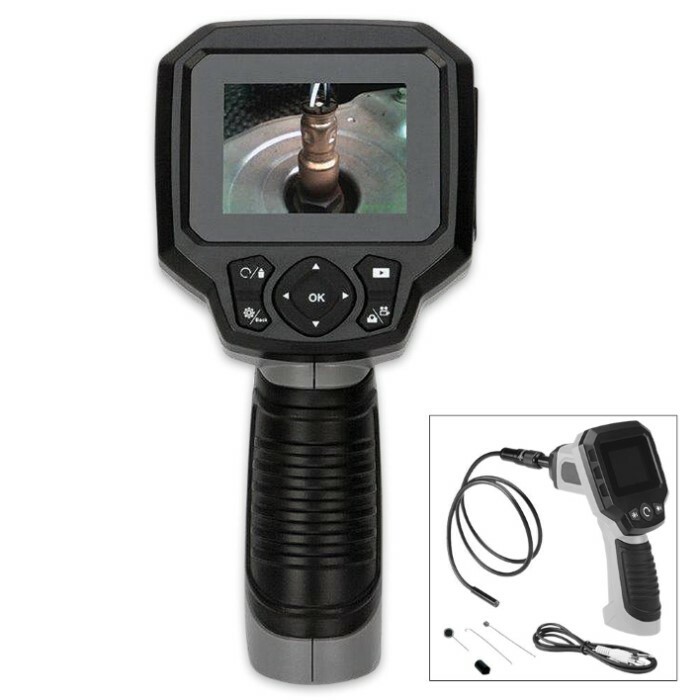 LCD Inspection Camera | BUDK.com - Knives & Swords At The Lowest Prices! 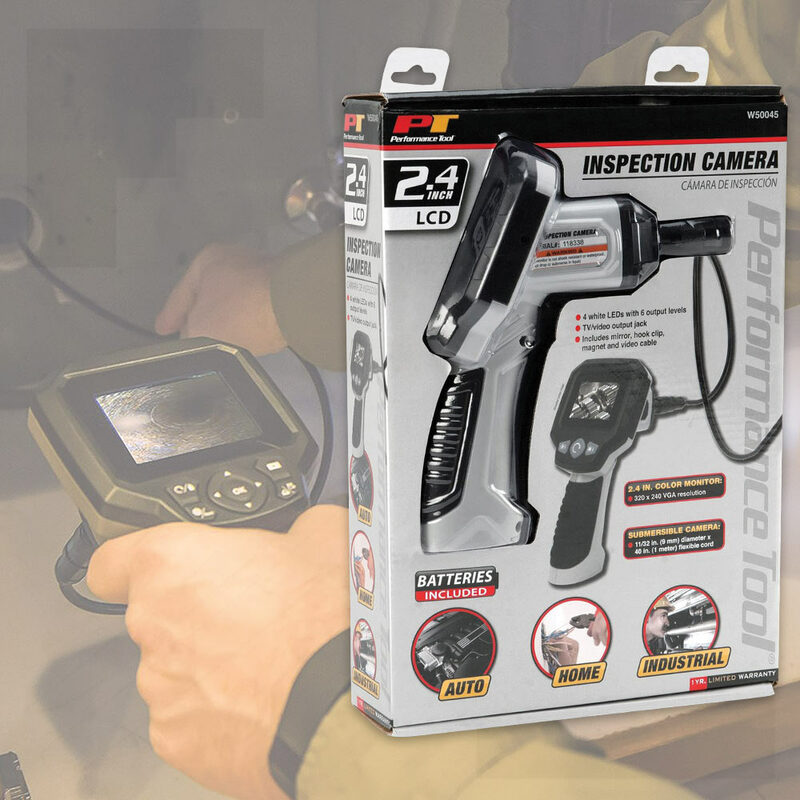 The uses you will find for the 2.4” LCD Inspection Camera are endless! It’s great for inspecting engine compartments, valves, A/C vents, plumbing pipes, under or around furniture and appliances, home theater installations, cable routing, machinery and for pest control. It’s a full function camera that takes images and records video with a playback feature. It has a 2.4" color LCD monitor with 320 x 240 VGA resolution and 180 degree image rotation and mirroring. The submersible 9mm diameter camera has 640 x 480 resolution. It also features four white LEDs with six output levels and a 40" flexible neck. It also has a TV/video output jack. 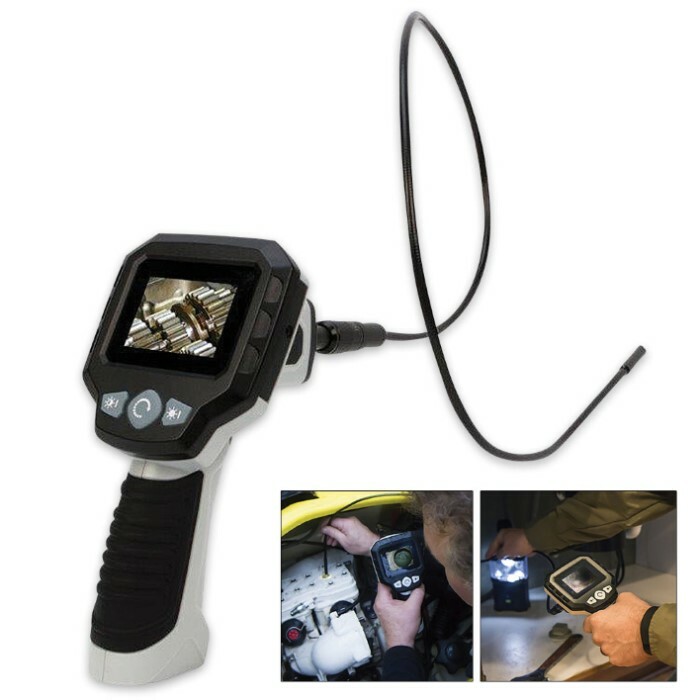 Included with the inspection camera is a mirror, hook clip, magnet, video cable and 4-AA batteries.